Now you can take Culture Collective with you while you travel and stay up to date on our latest inspiring and creative content! The app function is free and you don’t even need to go through the app store. 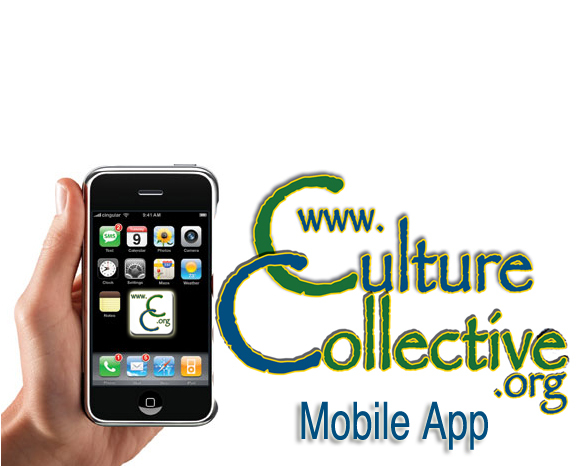 Just simply use your iPhone or Droid, Blackberry devices web browser and navigate to www.culturecollective.org. When you do that, a bubble will come up asking you to save an icon to your home-screen. This will make reading the articles and navigating the site on your mobile device much easier, you will always have the option to revert to traditional web view. After clicking to have the icon on your home-screen, you will be given the option to name the app, “CultCollect” is recommended because most devices will not allow more than 12 characters in the apps name.